ClearSpan Fabric Structures is the natural choice when it comes to your building and storage needs. We can solve any application challenge, providing customized solutions for both domestic and international industries. Designed in conformance with international building codes, ClearSpan buildings are engineered, manufactured, and constructed with the highest structural integrity. We stand behind our work and promise you extraordinary care and service. ClearSpan is dedicated to providing only the highest quality products coupled with exceptional service by our educated sales specialists, who are here to provide helpful solutions to your building needs. As the leading manufacturer of fabric structures, we can be counted on to cover your every building need, no matter the size or complexity of the project. 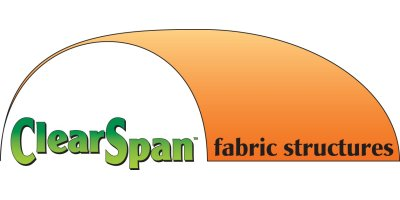 ClearSpan Fabric Structures is owned and operated in the United States. Corporate headquarters, located in South Windsor, Connecticut, is the home of our Truss Arch specialists. At the Dyersville, Iowa location, ClearSpan designs, engineers, manufactures and distributes engineered structures. Because we believe in the quality of our tension fabric buildings, our manufacturing facilities are housed in our 100’W x 780’L and 160’W x 320’L Hercules Truss Arch Buildings.